I love women’s football and follow it closely but Hope Powell should retire quickly as this is embarrassing for England. She can argue all she wants about technical ability but when she thinks her squad could beat the men she really has lost all credibility as a voice for women’s football. England Ladies manager Hope Powell has given her side the ultimate boost ahead of their opening Euro 2013 match, by stating her side could beat Roy Hodgson’s men. Powell’s ladies open their European Championship campaign against Spain tonight as England bid for their first major international title. And the likes of Rachel Yankey, Kelly Smith and Casey Stoney are likely to be brimming with confidence after Powell said they could give Steven Gerrard and co. a run for their money. Asked whether the women’s team could beat the men, she answered: “Absolutely, why not? 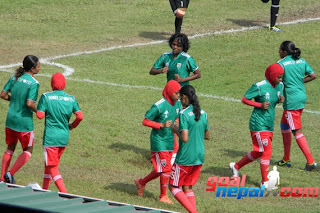 South Asian Women’s Football Federation Women’s Cup- HUGE score! Women’s Weekend Fixtures 13th July and 14th July 2013 – (And Result)USWNT will face Mexico on 3 September at RFK Stadium in Washington D.C.
Hi @Gromit, I put legend in all pics (you can see the name of the girls under the photo, on left) . I think all brazilian fans always wanted see Erika play as a foward, because she plays as a midfielder/forward in her previous teams. So, I think she will play as a truly forward, because Thaisinha wasnt called and Debinha and Marta will play as midfielder/forward. In the last squads, Debinha was called as a forward, together Giovania and Thaisinha… now Marcio Oliveira called only Erika and Giovania in this position! I am very anxious to see this team play. But I am sad that Andressa is missing it. She really impressed me in the last matches. The other bad news is Marta that has a discal hernia. So, she can lose the camp and the championship. @Gromit Well thanks Gromit anyway, I think I am going to leave you for a minute to cry a bit…. I agree with you, that would have been great….